Vivid, bright red cranberries add a welcome pop of color to fall cuisine. 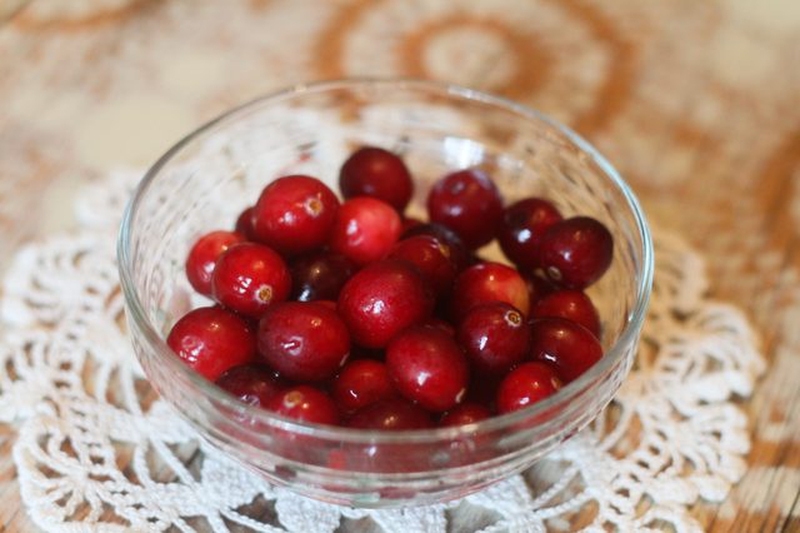 Their tartness balances sweet flavors, and cranberries enhance our favorite autumn foods. You won’t find fresh cranberries year round, so grab a few bags at your grocery store this fall and take advantage of these tart round beauties this Thanksgiving. We’ve found eight ways to cook with fresh cranberries, and these incredible recipes will brighten up any fall table! Add this vibrant Nantucket cranberry pie to your holiday menu and you’ll have a new favorite dessert. Want a lovely and festive appetizer? Create a delicious cranberry crostini with leftover cranberry sauce and goat cheese. These tender cranberry scones are packed with fresh cranberries, orange zest and drizzled with a delicious orange glaze. They make a beautiful addition to a fall brunch menu. Brie and cranberries make an amazing combo, and this no-fuss cranberry pistachio baked brie is a perfect Thanksgiving appetizer. This fresh cranberry and orange bread makes a great healthy fall snack or breakfast treat. Oven-crisped sweet potato croutons, browned Italian sausage, and super fresh and delicious cranberries make this paleo sweet potato cranberry stuffing a side dish everyone will love! Enjoy a burst of autumn flavor in this yummy, warm cranberry crisp recipe. Shaved brussels sprouts, freshly sliced cranberries, toasted pecans, and pancetta tossed with a garlic dijon vinaigrette make a healthy and delicious Thanksgiving side dish.